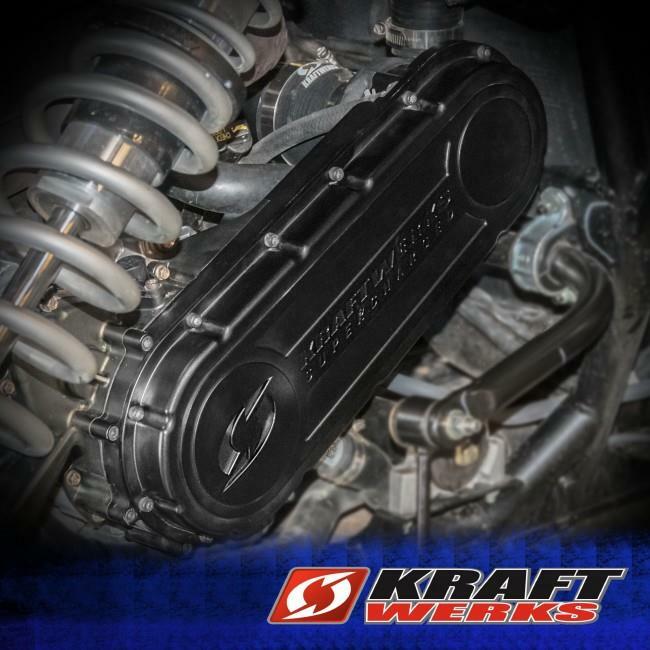 Kraftwerks Supercharger Kit - Polaris RZR UNKNOWN - Dezod Motorsports Inc - Home of the automotive performance enthusiast since 2002. Extreme performance with style – that’s the essence of the Kraftwerks RZR XP Supercharger System. 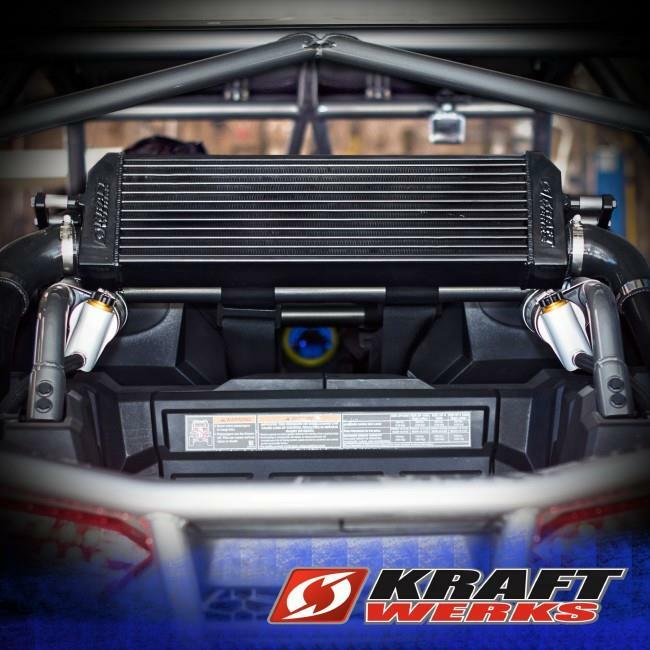 The Kraftwerks Performance RZR XP Supercharger System is engineered to produce the ultimate in powered performance for Polaris RZR riders. Whether it’s loose sand, dusty trails or steep rock climbing, Kraftwerks Performance knows that power is the name of the game. The heart-pounding system delivers over 150hp and 110 lb-ft. of torque – that’s increased horsepower and torque vs. the stock RZR. This easy to install, bolt-on system features a compact Rotrex C15-60 unit with a CNC billet mount for instant boost and no turbo lag. 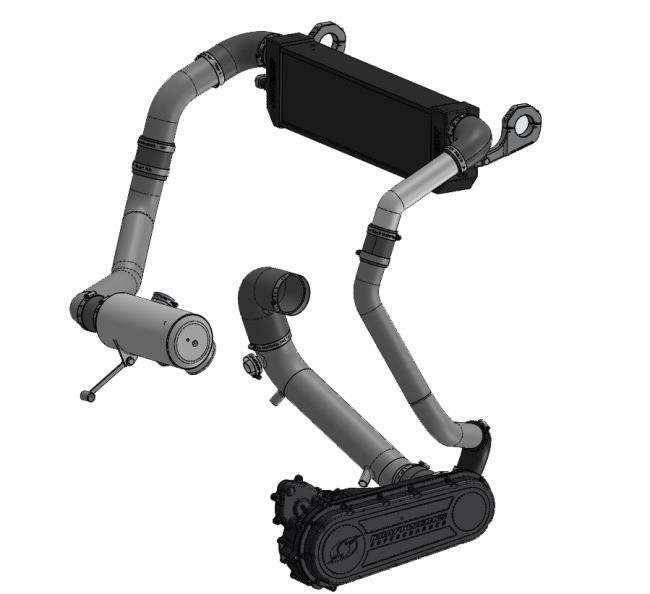 It’s supported by an aluminum plenum and a sealed drive belt to prevent contaminants from entering when exposed to various elements. In other words, dominate every dune and face mud with confidence. 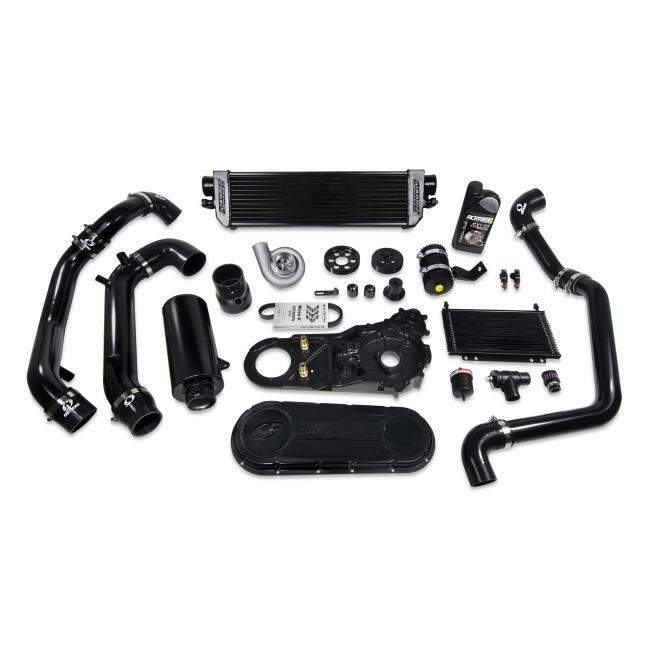 The RZR XP Supercharger System features a hefty sleek black intercooler and two powder coated aluminum intercooler pipes that are sure to make heads turn! This groundbreaking RZR XP® supercharger kit is engineered to propel you into the winner’s circle.